Prime Minister Narendra Modi and his Sri Lankan counterpart Ranil Wickremesinghe will hold extensive talks tomorrow with an aim to lift the momentum of bilateral ties. 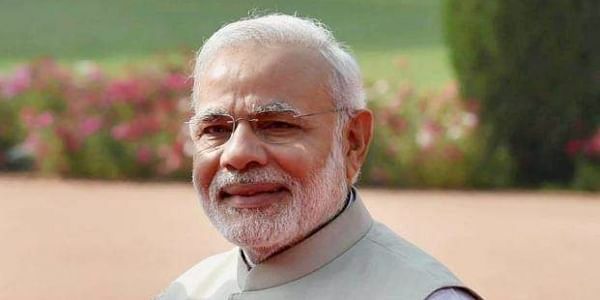 NEW DELHI: Prime Minister Narendra Modi and his Sri Lankan counterpart Ranil Wickremesinghe will hold extensive talks tomorrow with an aim to lift the momentum of bilateral ties. Wickremesinghe arrived here today from Bengaluru which was his first destination. He was received at the airport here by Indian High Commissioner to Sri Lanka Taranjit Singh Sandhu. The Sri Lankan Prime Minister is here primarily to attend the 5th Global Conference on Cyber Space. "A partnership marked by historical linkages and deep rooted friendship. Sri Lankan Prime Minister @RW_UNP arrives in New Delhi to participate in the 5th Global Conference on Cyber Space 2017," External Affairs Ministry Spokesperson Raveesh Kumar tweeted. In their talks, Modi and Wickremesinghe are also expected to deliberate on a range of issues including ways to boost trade and security cooperation. He will also call on President Ram Nath Kovind. Prime Minister Modi visited Sri Lanka in May during which he attended the biggest Buddhist festival 'Vesak Day' as its chief guest. Wickremesinghe arrived in Bengaluru yesterday. He will wrap up his visit here on Friday.